We are offering Neoprene Rubber Gaskets, which have a normal working temperature of -40 C to +130 C. These are well suited for applications such as gaskets, hoses, and corrosion-resistant coatings. It can also be used as a base for adhesives, noise isolation in power transformer installations, and as padding in external metal cases to protect the contents while allowing a snug fit. 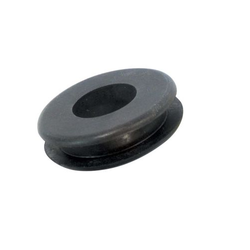 We are one of the leading manufacturers of Neoprene Rubber Grommet. This product is basically used for the purpose of passing electric cables through it. This is manufactured using high quality raw materials. The grommet has a strong body and is highly durable. We provide this product in various sizes as per the needs of the clients. We believe in providing high quality products to our clients and as a result pass it through a number of quality examinations. 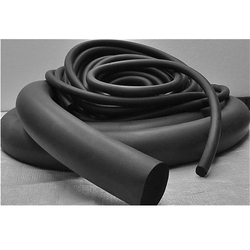 The Neoprene Rubber Cord we manufacture is produced using high quality raw materials. This product is used for the purpose of passing electrical wires through it to provide it an extra layer of insulation. This product is durable and heat resistant. This product is provided by us in various specifications. We manufacture this using high quality raw material. Being one of the leading manufacturers we never compromise with quality and as a result send all our products through a number of quality checks. We provide this product at an affordable price making it a highly demanded product. With the capacity to bear low and high temperature, the Neoprene Rubber O Ring we manufacture is highly durable. This product is provided by us in various sizes and colour depending on the customer’s requirements. This product is manufactured using high quality raw materials. Being one of the market leaders it’s not an option for us to compromise with quality and thus we process each and every product of ours through a number of quality checks. We offer this quality product in the market at a very reasonable price. Looking for Neoprene Rubber Products ?